Certificate of Insurance – Do You Ask for This? This article is reprinted with permission from CreditBytes. The scenario: Your company has a customer that has consistently ranked in your top 20 for the past 5+years, which accounts for a significant portion of your company’s annual sales. Recently, the customer has placed another significant order along the lines of what they’ve been submitting regularly for the past few years. They’ve always paid on time and there have been no red flags or rumblings in the market place. However, one week after the goods were received at your customer’s warehouse, you get the news that the warehouse had a major fire, which destroyed all of your product and all of the equipment inside. The cause of the fire was investigated and it was determined that it was a non-arson event which caused the catastrophic damage (arson is almost never covered under any insurance policy). Although the insurance was enforced and binding at the time of the fire, the maximum coverage of $5 million on the facility and its contents was woefully inadequate against the value of the warehouse, goods, and equipment, which was estimated to be over $20 million. Your goods accounted for $2 million of the total value. This underinsured situation turned out to be not only a devastating blow to your customer’s financial health, that eventually led to its declaration of bankruptcy, but also a severe loss that greatly impacted your company as well. As credit professionals, we seldom think about whether or not our customers are properly insured. Instead we focus on the bank and trade references, credit reports, financial statements, credit industry groups, and other sources that only tell us how well our present and potential customers are able to pay us. Sometimes we even do background checks to make extra sure that there’s nothing dubious about the company’s executive management, but rarely do we consider our customer’s insurance and risk management situation to be part of the credit evaluation. One of the easiest and simplest documents that will tell you about your customer’s specific total insurance protection is called a Certificate of Insurance. 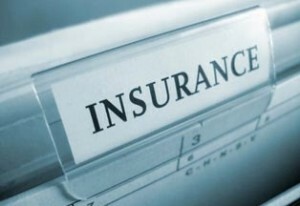 This document provides verification of the insurance and usually contains information on types and limits of coverage, the insurance carrier being used, policy number, named insured, and the policies’ effective periods. We can only begin to think of the options available to us when we realize that there is a problem or risk at hand. In essence, a prudent credit manager not only understands all of the components of a credit risk management system but also how it fits into a total risk management system. Obtaining a copy of the Certificate of Insurance for the appropriate transactions is one more important step in the process in strengthening the company’s total risk management system. Mr. Figueroa is not an employee of Law Offices of Gary A. Bemis. This article solely reflects the opinions and viewpoints of Mr. Figueroa and may not represent the opinion of Law Offices of Gary A. Bemis. Consult your attorney for advice specific to your situation. CreditBytes, published by Credit Decisions International Ltd., is intended to share information and ideas that may be of value to credit and collection professionals. CDI Ltd. is not engaged in providing legal advice and suggests professional consultation on issues requiring legal or accounting opinions.